Welcome to the first part in our EasyEquities World Cup ETF series. In this episode I will be profiling Exchange Traded Funds and comparing them to the national teams that feature in the 2018 World Cup, in the hope of giving you all a better and simpler understanding of ETFs and their make up. The group stages have just ended, and it has been an interesting round of football with plenty of goals and big teams going head-to-head to progress to the next round. One thing to note about ETFs is that they exist as a collection of listed shares, kind of like how a football team is a collective of talented footballers. Today I'll be profiling one of the most interesting games in the group stages, the opening match of Group B: Spain vs. Portugal. This game was not only entertaining and jam-packed with international superstars, it had two teams that had very similar footballing histories and ultimately finished the group stages having performed similarly to one another. 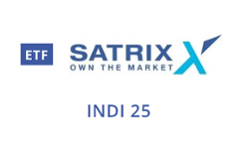 Which brings us to two ETFs which have some overlaps and similarities, and quite a lot of familiarity with each other: Satrix RAFI 40 vs. Satrix INDI 25. Both representing the Satrix brand, the two World Cup contestants represent the European continent, and even the Iberian peninsula. 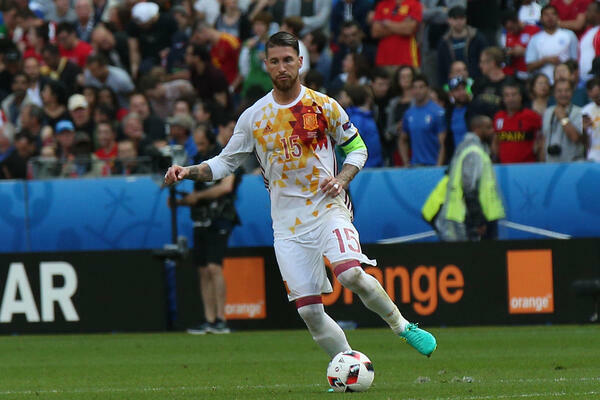 With the RAFI representing Spain, it's an ETF that is well diversified with a strong stock selection stretching across multiple sectors, much like the Spanish national team's relative positional strength and variety, stretching from defense up to the attacking third. While RAFI still focuses on the 'Top 40' stocks listed on the JSE, it lines them up not in terms of market cap (interchange with footballing popularity), but weighs stocks with their performance over a certain period of time (company sales, cash flows and dividends paid out). This is parallel to Spain's starting squad being selected on the basis of how its superstars have performed in the past year, and how their stats stack up regardless of how prestigious and popular they may be (see Morata's exclusion of World Cup). While the biggest company in the Top 40 is Naspers, Anglo American takes the RAFI's top spot because it has a better overall score, similar to Spanish captain Sergio Ramos' impressive personal performances and consistency. On the other hand, the Satrix INDI is heavily focused on the top 25 "industrial, consumer-facing companies." What does this mean in the footballing context? This index core is based on what the masses like and what is most popular, and plays to a positional leverage and depth (the industrial sector). In terms of the World Cup teams, they compare to how the Portuguese national team have historically shown strength out in the wings with the most weighted stock being the JSE's biggest stock, Naspers, a la Cristiano Ronaldo. This concentration in one area shown in both the ETF and the football team make for a slightly elevated level of risk; but this index, like the Portuguese national team, has been the best performer in recent times. On paper, the Satrix RAFI (like the Spanish national team) makes for an index that most would expect to have the upper hand between the two, being well diversified, with the distribution of its individual 'superstars' being down to how they have performed in their respective sectors. However, the recent champion has proved to be the INDI (comparable to Portugal's Euro 2016 heroics), both of whom still punch above their expectations despite being the objective champions. Much like the World Cup and any sporting event, past performances are at times the best indicators for future winners in the investment space. However, the best rewards are born from taking on more of a calculated risk. Or, making the right picks en route to being an efficient investor and analyst of the game. This doesn't serve as financial nor footballing advice or betting insights, I'm just making sense of the ETF world in footballing terms.